Legendary Studios has some giant plans in mind as they take Kong: Skull Island and change ports from Universal to Warner Bros. The studio, which just last year released the rebooted Godzilla, has hopes of developing a Godzilla vs King Kong movie. Deadline reports that the studio switched distributors for its giant monkey movie in the hopes that it would make it easier in the long run to create a titanic fight film starring two of Hollywood’s biggest beasts if both properties were in the same house. 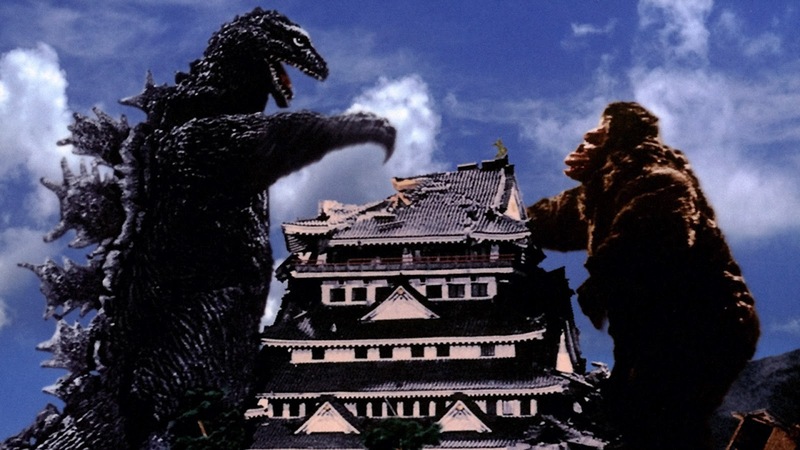 This won’t be the first time the original kaiju goes toe-to-toe with the big ape. The two tussled in the classic 1962 schlockfest that still holds a special place in fans’ hearts all over the world. Kong: Skull Island is set for a March 10, 2017 release while the Godzilla sequel is on track for June 8, 2018. After that, it’s time to place your bets! Could we see this getting teased as early as Skull Island? Something in the form of a post-credits bumper scene tacked on to the end of either film? I’d love it if the Godzilla sequel ended with the big lizard looking for a land where he won’t be bothered by humanity and ending up on King Kong’s front door. Are you excited for an updated Godzilla vs King Kong movie? Let us know in the comments! This entry was posted in Breaking News, Film and tagged godzilla, Godzilla vs King Kong, King Kong, Kong: Skull Island. Bookmark the permalink. Has Marvel Studios Set Their Sights on Rebecca Ferguson for ‘Captain Marvel’?